LOFT INSULATION TOP UPS refers to those homes where loft insulation was fitted some time ago, but which does not conform to the current legislation concerning the thickness of the insulation. The process involves the fitting of additional insulating material on top of the existing loft insulation, so as to give an additional layer of protection which then conforms with the present rules. There are at least 24 million homes in the United Kingdom and, of those with lofts, approximately 65 percent have loft insulation. This number is rising according to the Department of Energy and Climate Change (DECC). And for good reason. Did you know that a quarter of heat lost in an non-insulated home is lost through the loft? Of those homes that do have some form of insulation, many have been insulated to a poor standard or to out-of-date regulations, so could also be causing valuable warmth to escape without owners even realising it. The Energy Savings Trust (EST) recently calculated that non-insulated or poorly insulated lofts could be costing householders as much as £240 per year in extra fuel. This figure could well be higher for older properties. The EST estimates that owners of mid terraced houses could save around £120 per year, semi-detached houses £135 and detached houses around £225 from having proper insulation. Why do non-insulated houses lose warmth? Heat rises and naturally travels from warm areas to cold areas. Particularly in the winter, the heat in your house will rise upwards faster, creating a rapid loss of warmth if the top of your house is cold. By keeping the top of your house warm, you are effectively preventing warm air in the rest of your house from escaping to colder places. What is loft insulation how does it work? Insulating a loft is a very simple process. It simply involves fitting insulation material into the joists in your loft and rafters to prevent the loss of heat through the roof. One of the most common materials is mineral wool, which is suitable for use in most loft spaces. For lofts that are inaccessible or harder to reach, blown insulation can be used. This loose, fire resistant material is typically made from cellulose fiber and can be installed by a professional easily within a matter of hours. Although many cases of loft insulation will require the skills of a professional fitter, there are some instances in which you may be able to do it yourself. If your loft is easy to access and has regular joists, you can simply purchase rolls of mineral wool insulation and place a layer between the joists. Then add another layer to cover the joists to your required thickness. If you are planning to use your loft as residential space or as a storage space you will probably need a professional. For storage spaces, boards will need to be laid over your joists. You will then need to make sure there is enough space between the floor and the joists, so that you can fit an adequate amount of mineral wool. Gaps also need to be left between the insulation and the boards, for ventilation and to prevent condensation. For lived-in converted loft spaces, you will need to insulate the roof itself, rather than the floor of the loft. For this, you’ll need a high-performance insulation board to create a space under the roof for the insulation. A poorly insulated loft will mean that you need to use more fuel, and therefore more carbon dioxide will be emitted from your house. In 2008, the government introduced its Carbon Emissions Reduction Target (CERT) – part of which was to reduce the amount of carbon lost through homes. Since then – and with government help to finance – the number of loft insulations has rapidly increased. In the first four years alone, more than 4.5 million lofts were effectively insulated. The result? An annual carbon dioxide saving of around 1,000 kilograms per household. Many people do not realise that loft insulation top ups are a relatively low-cost exercise. In fact, it is actually free for most home owners and those on qualifying benefits, due to government commitment to drive down carbon emissions. Check whether you are eligible today and you could start enjoying the benefits of a warmer and more cost-effective home within a matter of days. Loft insulation, once installed correctly, is a long term solution to heat retention in your home – effective for at least 40 years in most cases. Although insulation can last several decades, many homes that are already insulated can benefit from extra thickness. 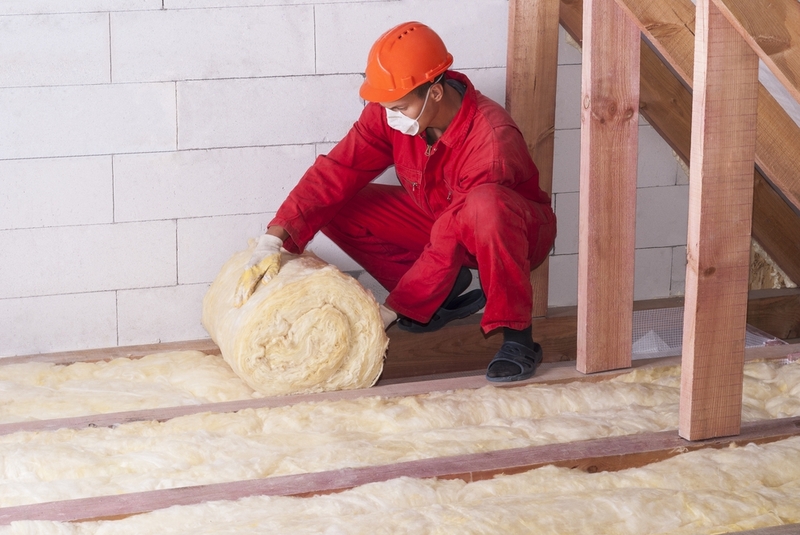 Loft insulation top ups can help to keep insulation at its maximum effectiveness and could save home owners an extra £20 per year, while reducing their carbon emissions by up to 90 kilograms per year. The recommended depth for loft insulation is now 270 millimeters, but many homes are currently insulated at a thickness of only 120 millimeters. Please feel free to contact us for further information regarding loft insulation top ups. Renewable Energy Systems Is your heating system going to survive this winter?